Matera (Italian pronunciation: [maˈteːra] or locally [maˈtɛːra]) is a city and a province in the region of Basilicata, in Southern Italy. 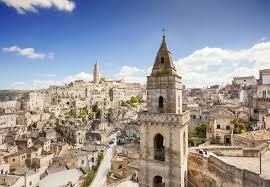 It is the capital of the province of Matera and the capital of Basilicata from 1663 to 1806. The town lies in a small canyon carved out by the Gravina. 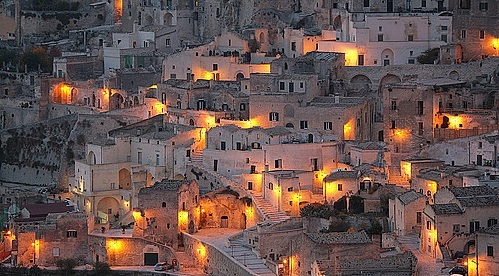 Known as “la Città Sotterranea” (the Subterranean City), Matera is well known for being one of the oldest inhabited cities in the world. Its historical center called “Sassi”, along with the Park of the Rupestrian Churches, is considered a World Heritage Site by UNESCO since 1993. The area of what is now Matera has been settled since the Palaeolithic. The city was allegedly founded by the Romans in the 3rd century BC, with the name of Matheola after the consul Lucius Caecilius Metellus. 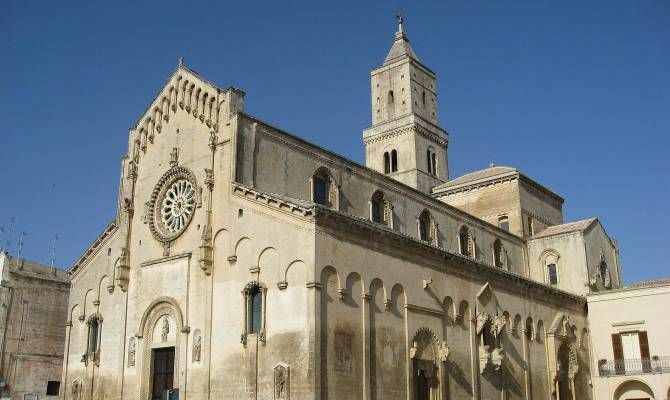 In AD 664 Matera was conquered by the Lombards and became part of the Duchy of Benevento. In the 7th and 8th centuries the nearby grottos were colonized by both Benedictine and Basilian monastic institutions. The 9th and 10th centuries were characterized by the struggle between the Byzantines and the German emperors, including Louis II, who partially destroyed the city. After the settlement of the Normans in Apulia, Matera was ruled by William Iron-Arm from 1043. After a short communal phase and a series of pestilences and earthquakes, the city in the 15th century became an Aragonese possession, and was given in fief to the barons of the Tramontano family. In 1514, however, the population rebelled against the oppression and killed Count Giovanni Carlo Tramontano. 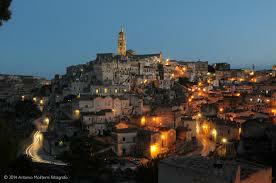 In the 17th century Matera was handed over to the Orsini and then became part of the Terre d’Otranto di Puglia. Later it was capital of Basilicata, a position it retained until 1806, when Joseph Bonaparte reassigned it to Potenza. 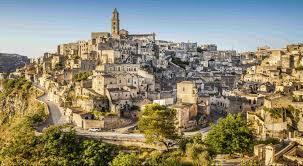 In 1927 it became capital of the province of Matera. 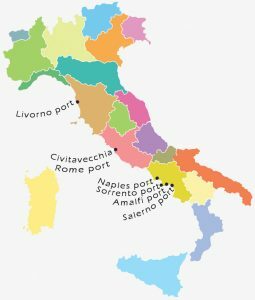 On September 21, 1943, the Materani rose against the German occupation, the first Italian city to fight against the Wehrmacht. 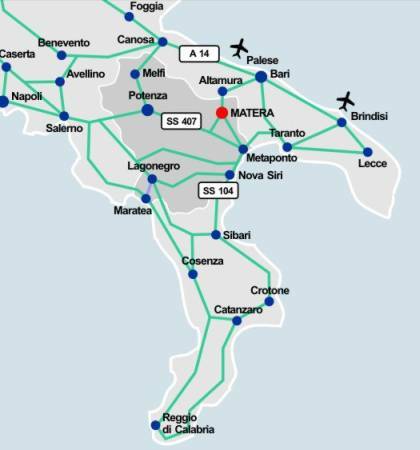 PICK UP – DROP OFF LOCATION : at your ship in Naples port / hotel or private villas. TOUR DURATION: 8,9 hours ( according to your ship schedule). THE PRICE INCLUDES: all taxes, parking, tolls, gasoline and driver maintenance. IS NOT INCLUDES : meals, drinks and entrance fees. PICK UP TIME SUGGESTED: 8:00am / 9:00am ( according to you).